It was a fun experience in N.Y.C. you could visit the hotel lobby/gallery at 7 East 27th St., press the elevator button & observe a three-dimensional lenticular installation by Robert Munn, Sara Cook, & Rick Longo-Burrows made for The Gershwin Hotel. A lifesized 2D into 3D art installation in the hotel. 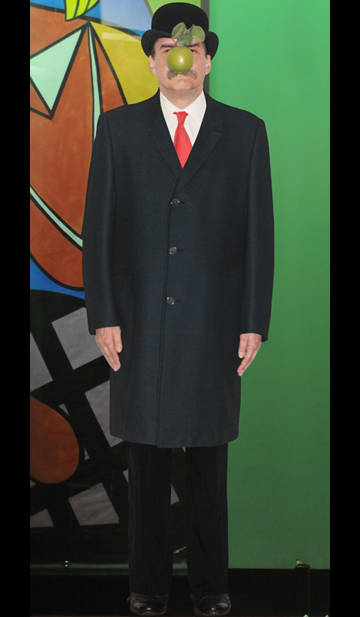 In concept, the life size three dimensional image effectively creates the illusion of an actual person in the elevator. 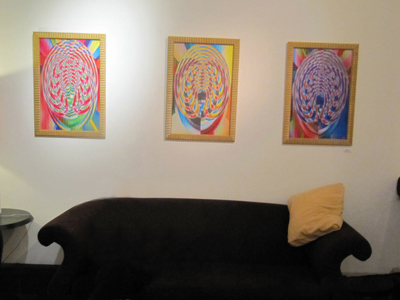 The artwork was installed to coincide with Robert Munn & Sara Cook's 20 year Retrospective Show of their work in the 3D lenticular medium entitled "Exhibition Ultradelic & Beyond" and continued it's residency until The Gershwin Hotel changed ownership in December 2012. 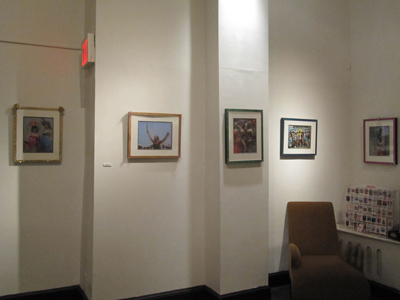 Below are images from the Retrospective Art Show of Robert Munn & Sara Cook 6.10.10-7.16.10. at The Gershwin Hotel, New York City. 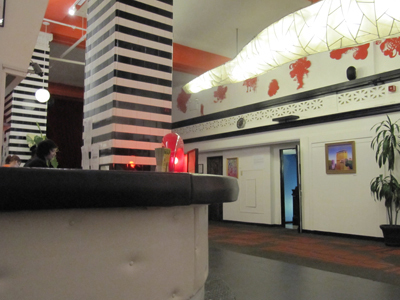 The Gershwin Hotel is located at 7 E 27 St.
- Click button to go back to The Depthography Art Shows Links Page. If you would like to join our email mailing list for upcoming 3d events, please email your request to info@depthography.com. © 2019 DEPTHOGRAPHY, Depthography, Inc., Depthography Group, Virtual Image Gallery, graphics, layout, & content are copyrighted & registered trademarks of Depthography. All rights reserved.